University of Information Technology and Communication holds an educational seminar about the dangers of smoking and how to combat it. UOITC held a seminar on the dangers of smoking and its impact on human health and the environment and the ways of preventing it. 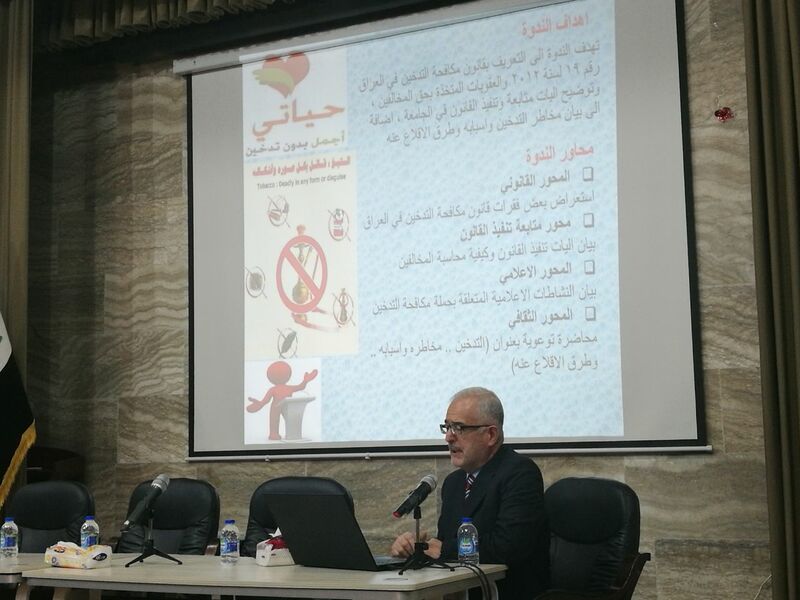 The seminar was organized by members of the "Follow-up Committee for Applying the Anti-Smoking Law" at the university, which was composed to educate students and employees on the dangers of smoking and ways of preventing them according to the laws adopted to combat it. 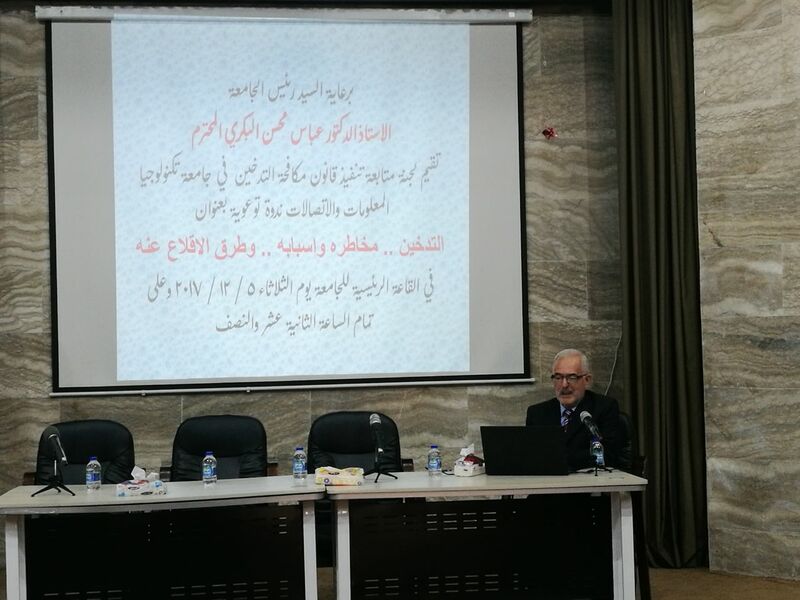 The seminar, which was introduced by the head of the anti-smoking committee, Dr. Amran M. Hamoudi, aimed at explaining the anti-smoking law in Iraq No. 19 of 2012 and the penalties imposed on violators and clarifying the mechanisms of following-up and applying of the law in the university. 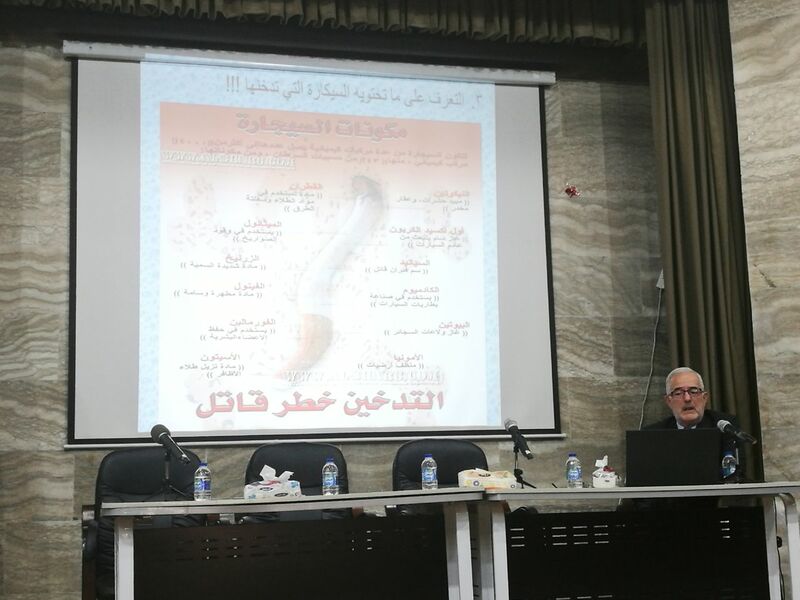 The seminar included a number of topics, including the legal topic: which reviewed some of paragraphs of the anti-smoking law in Iraq, topic of following-up law applying: through which the mechanisms of applying the law and how to deal with violators, media topic: to identify the media activities related to the action against smoking, cultural topic: which focuses on providing awareness lectures on smoking risks and avoiding them. During the symposium, a number of scientific tips and methods were put forward to stop smoking and to show its harmful effects on the smoker and its impact on others and on the environment. The seminar was attended by the President of the University, Prof. Dr. Abbas M. Al-Bakry, a number of university lecturers and students.